Bachelors Degree in Engineering in any discipline (full-time and regular) from university/institution recognized by UGC/AICTE. First Class (60%) or equivalent is required for Bachelors Degree in Engineering Desired- Preference will be given to candidates having 2 years regular full-time PG Diploma /Degree/ MBA or equivalent in Marketing or International Business or Foreign Trade. Graduate Degree/Diploma/Post Graduation must be full-time and regular from university/institution recognized by UGC/AICTE. Post Graduation must be 2 years regular full-time. 20 years’ post qualification experience is required (excluding training period as MT/ET, etc.). 3 years’ experience in Rs. 43200-3%-66000(IDA) pay scale/ equivalent CDA (for candidates working in CDA pay scales)/ equivalent CTC (for private sector candidates). Condition of 3 years’ experience in Rs. 43200-3%-66000(IDA) pay scale/ equivalent CDA (for candidates working in CDA pay scales)/ equivalent CTC (for private sector candidates) and 20 years post qualification experience as above will not apply to candidates already working in Rs. 51300-3%-73000(IDA) pay scale/ equivalent CDA (for candidates working in CDA pay scales)/ equivalent CTC (for private sector candidates). However, a minimum of 15 years post qualification executive experience excluding training period as MT/ET shall be required. She or he will be required to assist in devising ways to boost international/domestic trade and formulate and execute Corporate policies, plans and strategies for international/domestic trade and operations. Including: •Strategy to achieve business targets, •Operate teams/divisions on profit centre concept •Contract monitoring and execution Further, to monitor stocks, to evaluate the effectiveness of her or his division(s), to ensure that all skills and resources necessary for the functioning of her or his division(s) are made available to the managers, to determine the reporting systems within her or his division(s), to determine the budgetary needs of her or his divisions(s), to direct long range planning of her or his division(s), to formulate strategic policies with respect to the products and regions and projects, to contribute to the promotion of PEC’s image in India and abroad, to participate in the policy formulation for evaluating commercial and administrative policies of PEC, to cause the continuous evaluation of business within her/his division(s) and to provide leadership to the division(s) under her or his control, assess the manpower requirement of her or his division(s), to recommend collaborations to the Management wherever feasible and relevant to PEC’s interests. Knowledge of working on computers will be essential. 17 years’ post qualification experience is required (excluding training period as MT/ET, etc.). 3 years experience in Rs. 36600-3%-62000(IDA) pay scale/ equivalent CDA (for candidates working in CDA pay scales)/ equivalent CTC (for private sector candidates). Condition of 3 years’ experience in Rs. 36600-3%-62000(IDA) pay scale/ equivalent CDA (for candidates working in CDA pay scales)/ equivalent CTC (for private sector candidates) and 17 years post qualification experience as above will not apply to candidates already working 43200-3%-66000(IDA) pay scale/ equivalent CDA (for candidates working in CDA pay scales)/ equivalent CTC (for private sector candidates). However, a minimum of 12 years post qualification executive experience excluding training period as MT/ET shall be required. She or he will be required to assist in devising ways to boost international/domestic trade and formulate and execute Corporate policies, plans and strategies for international/domestic trade and operations. Including: •Strategy to achieve business targets, •Operate teams/divisions on profit centre concept •Contract monitoring and execution Further: to generate offers from manufacturing associates, to decide the terms, etc. with buyers and sellers, to appraise the effectiveness of the existing personnel working under her or him, to recommend business policies overcoming the competitive weakness of PEC, to maintain liaison with the Govt. agencies for monitoring Govt. policies and trade plan agreements, to monitor stocks, to appoint agents and fix their service charges, to authorise offering of a bid-bond, to recommend to top management credit and other banking facilities where required for obtaining success in a contract, to determine manpower requirements within the Division, to operate the division in conformity with the corporate objectives and govt policies, to evaluate the competitor’s strengths and weaknesses with a view to recommending modification of marketing strengths of PEC, to allocate work within the Division as per norms. Knowledge of working on computers will be essential. Bachelors Degree and 2 years regular full-time PG Diploma/Degree/MBA or equivalent in Finance OR CA or ICWA. Minimum 50% marks or equivalent for Bachelors Degree. 60% marks or equivalent for Post Graduate Diploma/ MBA/ Post Graduation. Pass Class for CA/ICWA. Graduate Degree/Diploma/Post Graduation must be full-time and regular from university/institution recognized by UGC/AICTE. Post Graduation must be 2 years regular full-time. 17 years’ post qualification experience is required (excluding training period as MT/ET, etc.). 3 years’ experience in Rs. 36600-3%-62000(IDA) pay scale/ equivalent CDA (for candidates working in CDA pay scales)/ equivalent CTC (for private sector candidates). Condition of 3 years’ experience in Rs. 36600-3%-62000(IDA) pay scale/ equivalent CDA (for candidates working in CDA pay scales)/ equivalent CTC (for private sector candidates) and 17 years post qualification experience as above will not apply to candidates already working in 43200-3%-66000(IDA) pay scale/ equivalent CDA (for candidates working in CDA pay scales)/ equivalent CTC (for private sector candidates). However, a minimum of 12 years post qualification executive experience excluding training period as MT/ET shall be required. She or he will be required to assist in various financial matters of the company related to international/domestic trade, Corporate policies, plans and strategies for international/domestic trade and operations. Including: to be Principal Staff Officer to the Management on all financial matters, to assist in meetings of the Board of Directors, to look after the management of funds and cash flow and to determine financial resources required, to establish and maintain a system of financial control and to analyse financial results of all operations, to maintain liaison with financial institutions, to secure clearance for all deferred payment contracts, to review the performance reports submitted by Finance and Accounts Deptt., preparation of annual accounts and balance sheets, to carry out special studies with a view to reducing costs, improve efficiency and profitability. 1. To provide necessary guidance for development of proper accounting system, maintenance of essential books of accounts and preparation, presentation and finalization of accounts in accordance with the provision of the Companies Act’ 2013 so as to avoid any qualification by the statutory auditors. 2. To conduct risk-based audit and report to the management on quarterly basis the inefficient and weak areas, deficiency in internal control system with suggestion for remedial measures. 3. Preparation of Management Information System. 4. To report on financial impropriety and irregularities and system inadequacies that leads to such impropriety/irregularity with suggestion of measures for improvement of system on quarterly basis. 5.Report on any other matter of significance. Knowledge of working on computers will be essential. Preference will be given to candidates having 2 years regular full-time PG Diploma /Degree/ MBA or equivalent in Marketing or International Business or Foreign Trade. Graduate Degree/Diploma/Post Graduation must be full-time and regular from university/institution recognized by UGC/AICTE. Post Graduation must be 2 years regular full-time. 14 years’ post qualification experience is required (excluding training period as MT/ET, etc.). 3 years’ experience in Rs. 32900-3%-58000(IDA) pay scale/ equivalent CDA (for candidates working in CDA pay scales)/ equivalent CTC (for private sector candidates). Condition of 3 years’ experience in Rs. 32900-3%-58000(IDA) pay scale/ equivalent CDA (for candidates working in CDA pay scales)/ equivalent CTC (for private sector candidates) and 14 years post qualification experience as above will not apply to candidates already working in Rs 36600-3%-62000(IDA) pay scale/ equivalent CDA (for candidates working in CDA pay scales)/ equivalent CTC (for private sector candidates). However, a minimum of 9 years post qualification executive experience excluding training period as MT/ET shall be required. Bachelors Degree and 2 years regular full-time PG Diploma/Degree/MBA or equivalent with Specialization in Personnel Management/Industrial Relations Management/HRM/HRD/PM&IR/Labour Welfare. Minimum 50% marks or equivalent for Bachelors Degree is required. 60% marks or equivalent for Post Graduate Diploma/ MBA/ Post Graduation is required. Graduate Degree/Diploma/Post Graduation must be full-time and regular from university/institution recognized by UGC/AICTE. Post Graduation must be 2 years regular full-time. 14 years’ post qualification experience is required (excluding training period as MT/ET, etc.). 3 years’ experience in Rs. 32900-3%-58000(IDA) pay scale/ equivalent CDA (for candidates working in CDA pay scales)/ equivalent CTC (for private sector candidates). Condition of 3 years’ experience in Rs 32900-3%-58000(IDA) pay scale/ equivalent CDA (for candidates working in CDA pay scales)/ equivalent CTC (for private sector candidates) and 14 years post qualification experience as above will not apply to candidates already working in Rs 36600-3%-62000(IDA) pay scale/ equivalent CDA (for candidates working in CDA pay scales)/ equivalent CTC (for private sector candidates). However, a minimum of 9 years post qualification executive experience excluding training period as MT/ET shall be required. She or he will be required to assist in formulating and executing Corporate HR policies, plans and strategies related to Personnel/Human Resources. Including: short and long term manpower planning, to determine policies of welfare measure to be offered, to specify the personnel records to be maintained, to maintain liaison with Govt. Deptts., and to recommend policies regarding promotion, training, industrial relations, corporate social responsibility, appraisals and personnel development and to carry out general administrative function within the Corporation. Knowledge of working on computers will be essential. Bachelors Degree in Law (Three years regular course after graduation or five years’ integrated course after 10+2 and candidate should be eligible to get her/himself enrolled as an Advocate in Bar Council of India to do practice in Courts in India. 50% marks or equivalent for Bachelors Degree in Law is required. 50% marks or equivalent for graduation-Bachelors Degree is required. 50% marks or equivalent for 5 years’ integrated course after (10+2) is required. Graduate Degree/Diploma/Post Graduation must be full-time and regular from university/institution recognized by UGC/AICTE. 14 years’ post qualification experience is required (excluding training period as MT/ET, etc.). 3 years’experience in Rs. 32900-3%-58000(IDA) pay scale/ equivalent CDA (for candidates working in CDA pay scales)/ equivalent CTC (for private sector candidates). Condition of 3 years’ experience in Rs. 32900-3%-58000(IDA) pay scale/ equivalent CDA (for candidates working in CDA pay scales)/ equivalent CTC (for private sector candidates) and 14 years post qualification experience as above will not apply to candidates already working in Rs 36600-3%-62000(IDA) pay scale/ equivalent CDA (for candidates working in CDA pay scales)/ equivalent CTC (for private sector candidates). However, a minimum of 9 years post qualification executive experience excluding training period as MT/ET shall be required. She or he will be required to assist in various legal matters of the company related to international/domestic trade, Corporate policies, plans and strategies for international/domestic trade and operations. Including: Responsible for various legal matters of the company; shall support legal and compliance processes of the organisation. She or he should have knowledge of laws relating to contract, sale of goods, negotiable instruments, carriage of goods, taxation laws such as value added tax, service tax, income tax and custom duties, rent and property laws, labour/service laws, civil/revenue laws/Banking laws/Trade Mark, recovery of dues etc. drafting legal documents,/notices/letters/agreements/internal guidelines and policies, etc. and experience of drafting/ vetting/ negotiating business/supply contracts/lease agreements. Knowledge of working on computers will be essential. Full-time regular Bachelors degree in Engineering in Computer Science/Computer Engineering/Information Technology/Electronics or a full time, regular Masters in Computer Applications (MCA) First Class (60%) or equivalent is required for Bachelors Degree in Engineering. 60% marks or equivalent for Post Graduate Diploma/ MBA/ Post Graduation Graduate Degree/Diploma/Post Graduation must be full-time and regular from university/institution recognized by UGC/AICTE. Post Graduation must be 2 years regular full-time. 8 years’ post qualification experience is required (excluding training period as MT/ET, etc.). 3 years’experience in Rs. 24900-3%-50500 (IDA) pay scale/ equivalent CDA (for candidates working in CDA pay scales)/ equivalent CTC (for private sector candidates). Condition of 3 years’ experience in Rs. 24900-3%-50500 (IDA) pay scale/ equivalent CDA (for candidates working in CDA pay scales)/ equivalent CTC (for private sector candidates) and 08 years post qualification experience as above will not apply to candidates already working in Rs 29100-3%-54500 (IDA) pay scale/ equivalent CDA (for candidates working in CDA pay scales)/ equivalent CTC (for private sector candidates). However, a minimum of 03 years post qualification executive experience excluding training period as MT/ET shall be required. Responsible for configuration and management of servers, networks and databases, implementation and management of security and backup procedures, modifying and testing applications, software development, trouble shooting, E-Tendering, maintenance of IT infrastructure, etc. Journalism/Mass Media/Mass Communication. Minimum 50% marks or equivalent for Bachelors Degree. Minimum 55% marks or equivalent in Post Graduate Degree / Diploma for Corporate Communication Discipline. Graduate Degree/Diploma/Post Graduation must be full-time and regular from university/institution recognized by UGC/AICTE. Post Graduation must be 2 years regular full-time. 5 years’ post qualification experience is required (excluding training period as MT/ET, etc.). 3 years’ experience in Rs. 20600-3%-46500 (IDA) pay scale/ equivalent CDA (for candidates working in CDA pay scales)/ equivalent CTC (for private sector candidates). Condition of 3 years’ experience in Rs. 20600-3%-46500 (IDA) pay scale/ equivalent CDA (for candidates working in CDA pay scales)/ equivalent CTC (for private sector candidates) and 05 years post qualification experience as above will not apply to candidates already working in Rs 24900-3%-50500(IDA) pay scale/ equivalent CDA (for candidates working in CDA pay scales)/ equivalent CTC (for private sector candidates). However, a minimum of 02 years post qualification executive experience excluding training period as MT/ET shall be required. Responsible for Corporate Communications, advertising, formulation of Public Relations strategies, media, corporate image building, liaisoning with Government department and other agencies, Protocol and Travel Cell’s work,etc. Knowledge of working on computers will be essential. Post Graduate in Hindi with English as one of the main subjects in Graduation or Post Graduation in English with Hindi as one of the main subjects in Graduation. Minimum 50% marks or equivalent for Bachelors Degree. Minimum 55% marks or equivalent in Post Graduate Degree / Diploma for Rajbhasha (Official Language) Discipline. Graduate Degree/Diploma/Post Graduation must be full-time and regular from university/institution recognized by UGC/AICTE. Post Graduation must be 2 years regular full-time. Responsible for work related to Official Language, implementation of Government instructions regarding use of Hindi, inspection of work being done on Official Language in corporate office as well as in branch offices, translation work from English to Hindi or vice versa, translation and proof reading of in-house journals/annual reports, organising Hindi workshops/Hindi Pakhwara celebration, etc. Knowledge of working on computers will be essential. 2 years’ post qualification experience is required (excluding training period as MT/ET, etc.). 2 years’ experience in Rs. 16400-3%-40500 (IDA) pay scale/ equivalent CDA (for candidates working in CDA pay scales)/ equivalent CTC (for private sector candidates). Condition of 2 years’ experience in Rs. 16400-3%-40500 (IDA) pay scale/ equivalent CDA (for candidates working in CDA pay scales)/ equivalent CTC (for private sector candidates) and 02 years post qualification experience as above will not apply to candidates already working in Rs 20600-3%-46500 (IDA) pay scale/ equivalent CDA (for candidates working in CDA pay scales)/ equivalent CTC (for private sector candidates). However, a minimum of 01 years post qualification executive experience excluding training period as MT/ET shall be required. She or he will be required to assist in formulating and executing Corporate HR policies, plans and strategies related to Personnel/Human Resources. Including: manpower planning, to process personnel requisitions, to process recruitment/selection of personnel of various categories, to organise training, to do Corporate Social Responsibility work, to look after establishment functions, to maintain liaison with Govt. Deptts., to administer welfare measures, to process and analyse the grievances of employees/Industrial Relations issues and recommend solutions, carry out any other job given by CPM/PM from time-to-time. Knowledge of working on computers will be essential. She or he will be required to assist in various legal matters of the company related to international/domestic trade, Corporate policies, plans and strategies for international/domestic trade and operations. Including: Responsible for various legal matters of the company; shall support legal and compliance processes of the organisation. She or he should have knowledge of laws relating to contract, sale of goods, negotiable instruments, carriage of goods, taxation laws such as value added tax, service tax, income tax and custom duties, rent and property laws, labour/service laws, civil/revenue laws/Banking laws/Trade Mark, etc. drafting legal documents,/notices/letters/agreements/internal guidelines and policies, etc. and experience of drafting/ vetting/ negotiating business/supply contracts/lease agreements. Knowledge of working on computers will be essential. 2 years’ post qualification experience is required (excluding training period as MT/ET, etc.). 2 years’experience in Rs. 16400-3%-40500 (IDA) pay scale/ equivalent CDA (for candidates working in CDA pay scales)/ equivalent CTC (for private sector candidates). Condition of 2 years’ experience in Rs. 16400-3%-40500 (IDA) pay scale/ equivalent CDA (for candidates working in CDA pay scales)/ equivalent CTC (for private sector candidates) and 02 years post qualification experience as above will not apply to candidates already working in Rs 20600-3%-46500 (IDA) pay scale/ equivalent CDA (for candidates working in CDA pay scales)/ equivalent CTC (for private sector candidates). However, a minimum of 01 years post qualification executive experience excluding training period as MT/ET shall be required. Responsible for configuration and management of servers, networks and databases, implementation and management of security and backup procedures, modifying and testing applications, software development, trouble shooting, E-Tendering, maintenance of IT infrastructure, etc. Knowledge of working on computers will be essential. PEC Limited (New Delhi) recruits Chief General Manager, General Manager, Joint General Manager, Senior Manager, Manager and Deputy Manager posts. Graduate, Post Graduate, PG Diploma, MBA, LLB, BTech, BE, MCA, CA, candidates can apply. 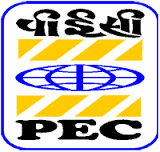 PEC Ltd was incorporated in April, 1971 in New Delhi, India. It is a public sector undertaking under Ministry of Commerce and Industry, Department of Commerce, Government of India. The company’s primary business thrusts are in exports, imports, deemed exports, third country trading, arranging financing, logistics, project exports and management. PEC Ltd, over last three decades, has expanded its role to become an international business organizer and a provider of integrated trade facilitating services. Through its diversification activities since early nineties, it has emerged as a positive force for the exchange of commodities, goods and services between India and the nations of the world. PEC as a trading company, is both initiator and intermediary, developer as well as facilitator for global trade.